What a week this promises to be! 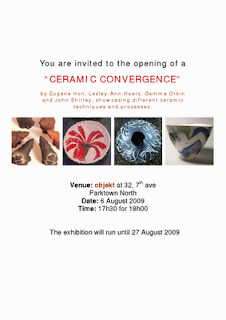 Firstly I am part of the exhibition 'Ceramic Convergence' together with friend and colleague Eugene Hon as well as Lesley Anne Hoets and Gemma Orkin. The exhibition opens on Thursday 6.00pm at Objekt in Parktown North, Johannesburg, South Africa. If you are in the vicinity come and take a look at this most exciting show. Secondly on the same date, I am honoured to have been asked to be a part of the 'South African Craft Icons' show at Decorex. 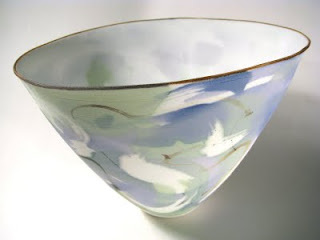 And finally also at Decorex on the 6th my work will be on show at the Ceramics S A display.